Good lighting is essential for a room to make an impact, but what sort of lighting is appropriate for where? 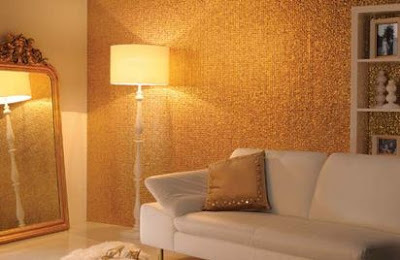 Our guide will help you bring a sparkle to every room in your house. Your hall is not just that busy space where everyone fights to get to shoes and coats; it's also the room that welcomes visitors to your home. While hall lighting needs to be practical, that doesn't mean it can't be decorative, so think lantern, hanging bowl, posh pendant or chandelier. Don't hang a pendant if your ceiling is low - it will only make it appear even lower. Instead, stick to halogen spots, sunk flush with the ceiling. These bulbs mimic daylight and, when recessed, they don't attract attention to themselves. However, if yours is a period house - anything pre-1930s - or a large new-build, chances are the ceiling will be high enough to take something really show stopping. A single chandelier can bring a touch of glamour and a sense of occasion to a hallway. They don't really provide a great deal of illumination though, so it's likely you'll have to fit other lights, too. A good way to do this is to direct a corner-fitted spotlight onto the chandelier to highlight its shape and to reflect light off its drops. Over the stairs, where visibility needs be good, halogen lights are a good choice, while wall lights are best avoided, as they only get in the way, especially in narrow hallways. Floor-level lighting is a dramatic way to lead the eye along the hall and up the stairs. Or, you could choose gorgeous lamps for your hall table and fit them with a dimmer switch so you can adjust the amount of light they give out to create a welcoming glow on cold winter nights, or more light if you need it.